040a – Batman | All Eighties Movies. All The Time! OMG I love this movie so much! Going to listen and cannot wait for part 2! 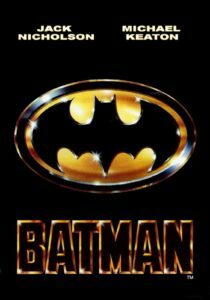 Best Batman movie for sure. Just listened and LOVE IT. Such respect for this movie my late father took me to see. I might be a woman but I just love this movie and shown this to my kids who just know the ‘new’ Batman movies. They loved it and will now play your podcast to them. Thanks for not swearing. Very appreciated. Going to listen to more of your podcasts now. I’m an eighties gal. Can’t believe you did Name of the Rose. So ‘out there’ but I loved that movie.